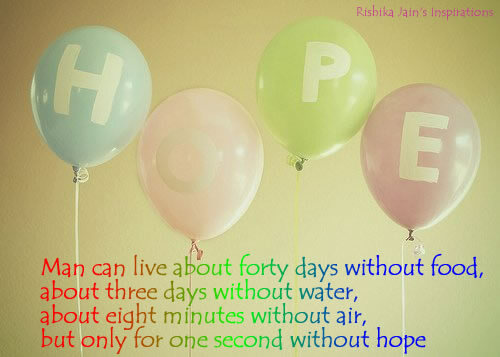 Thank you for sharing these quotes on hope. They were definitely what I needed today. You could easily substitute hope for dreams (although it would mess up the rhyme 🙂 ) Don’t know who wrote it, but I use it as a mantra at times. Thanks again for sharing these inspiring quotes. Great verse. I’m always amazed at how a few words can convey so much. I think that’s why I enjoy doing the quotes…says the person who has “You Still Have Hope” as part of the post.